A firm favourite to spot on safari, lions are undeniably beautiful, majestic apex predators. 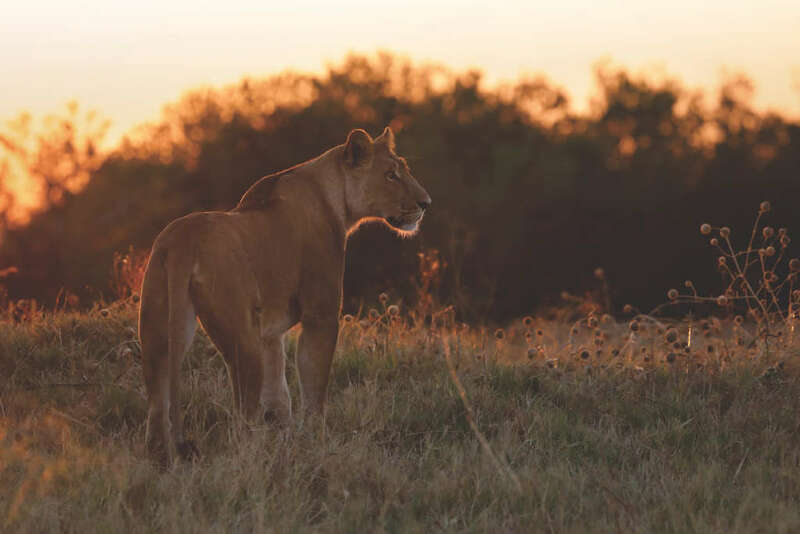 From the distance their roars carry to whether females go for blonde or dark-maned males, brush up on your knowledge with these roar-some lion facts. There’s nothing like waking up at night on safari and hearing those spine-tingling roars in the distance. 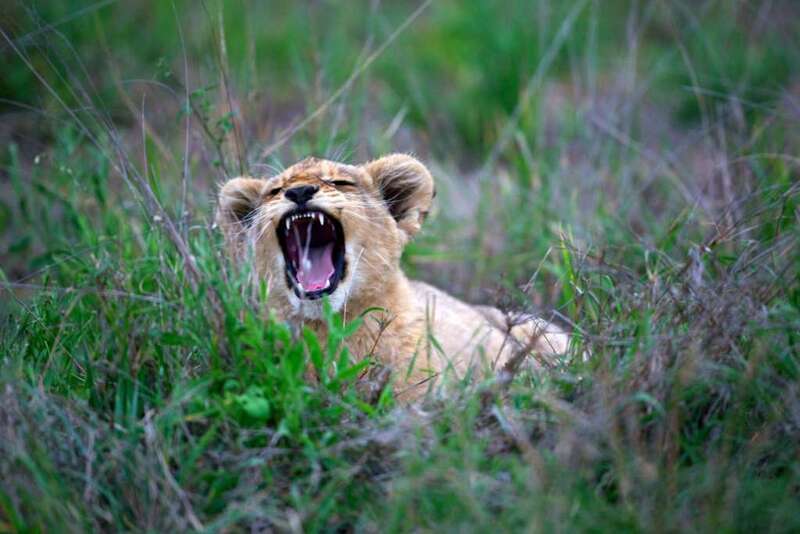 Lions have the loudest roars of all big cats. 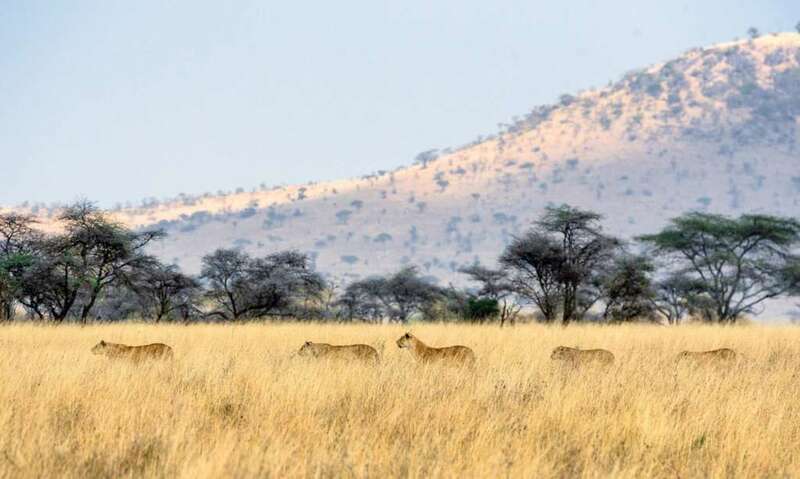 However, this is only in short bursts and lions will usually make sure they are as close as possible to their prey before attacking; impalas can sprint at up to 90 km/h (56 mph) and springboks can reach 95 km/h (59 mph). Meanwhile, cheetahs, the fastest land animal, can hit 120 km/h (75 mph). They can live up to 25 years in captivity. After a couple of months, they change to brown. Cubs have blue eyes at birth. Credit: Timon Studler, Unsplash. Lionesses usually give birth to two or three cubs, but up to six is possible. They are then weaned after eight months of suckling and will stay with their mother until around two years old, by which time they’ll have learnt how to hunt. Yep. To ensure the best chance of conception, a pair will spend three days together, mating every 30 minutes, though only for around 20 seconds each time. Most cats are fairly solitary, but lions are the opposite. They form prides that can be over 20 at their largest. 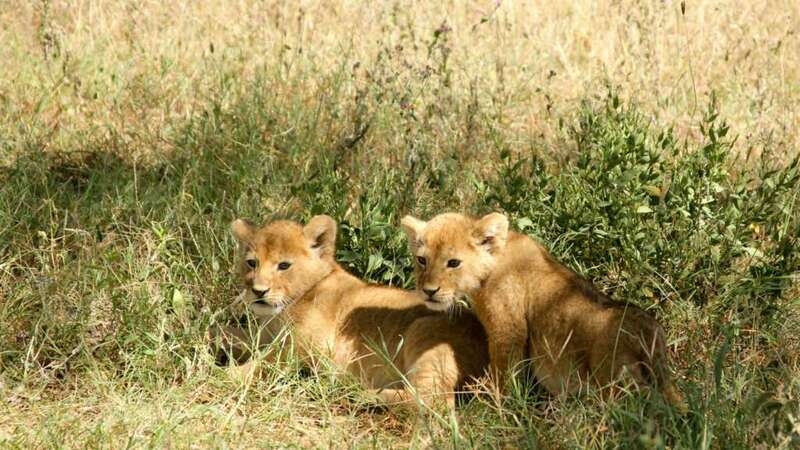 Whereas females will usually stay in the pride into which they were born, males are often cast out or leave to form their own prides, joining up with other males in coalitions to take on larger or stronger dominant males together. 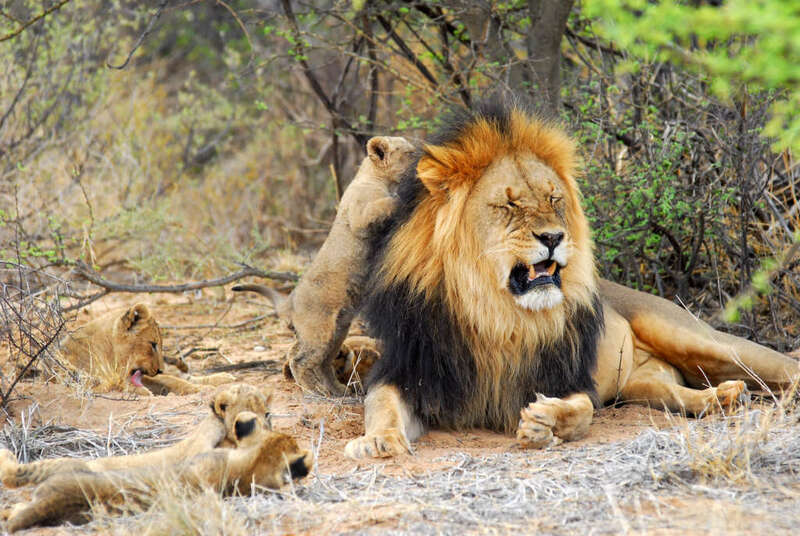 When a new male takes over a pride, he’ll kill any cubs before mating with the females. Lions are at their most successful when the hunt in packs. Credit: Chen Hu, Unsplash. It’s a common misconception that male lions do not hunt at all – though their main role is the protection of the pride. Females tend to do around 85% of the hunting. 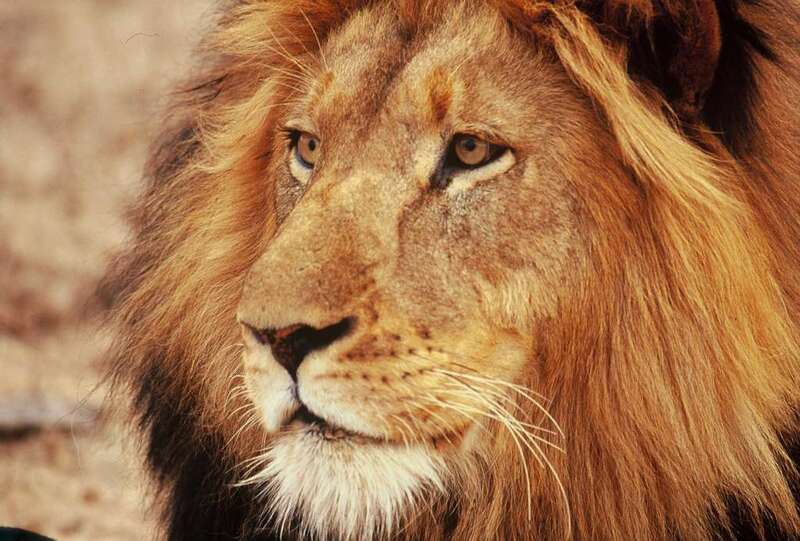 Lions will kill even if they’re not hungry – they never know when the opportunity will next occur. Lions will happily muscle in on the kills of cheetahs, leopards, wild dogs and hyenas. However, they can go without food for over a week. In these cases, they will gorge themselves on their next kill – eating up to 50 kilograms of meat in one go. Lions kill all kinds of animals: usually various antelope (kudu, gemsbok, waterbuck, etc. ), zebras and wildebeest. 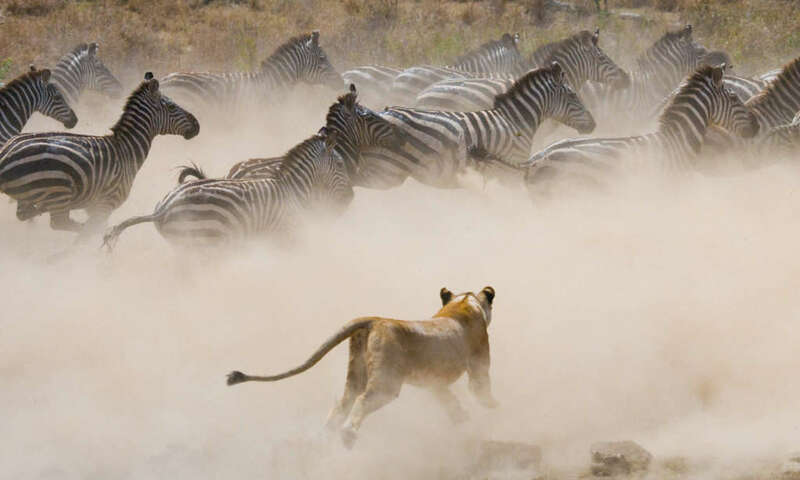 Strong prides can take down buffaloes and lions have even been known to kill giraffes. They’ll also pick off baby elephants and hippos, and will also eat pretty much anything else they can find, including porcupines and pangolins. They stay downwind, inching closer to an unsuspecting animal, until it is around 30 metres away – only then will they charge. Another tactic is to wait and ambush the prey when it wanders close enough. If the animal escapes, lions won’t pursue it far. They’ll kill big animals like buffalo by suffocation, whilst smaller animals die a quicker death by having their necks broken. Lions are most active after dark, so if you’re on safari the best time to see them is first thing in the morning or in the evening. Dawn or dusk are the best times to see lions. Credit: Belmond Savute Elephant Lodge / Stephen Tuengler. Compared to fellow predators, lions have a very low success rate: thought to be around 30% as a group, where they’re far more effective, but only 18% as individuals. There’s a pecking order when it comes to food. Males eat first, then the lionesses. Cubs eat after the lionesses, their mothers feeding themselves first – if there’s not much food or it’s been a long spell between kills, the weakest and smallest might not even eat at all. Cubs are always the last to eat. Credit: Kurt Cotoaga, Unsplash. When they’re not hunting or, for males, patrolling their territory, lions sleep. Males sleep for between 18 and 20 hours a day, whilst females get around 15 to 18 hours. Dark manes are associated with higher testosterone and good health, which is probably why females seem to prefer these lions. Dark manes and coats are often seen in animals who live in harsh conditions, such as in the Kalahari Desert, where it can be bitterly cold at night – the thick, black manes trap heat. A black-maned male with his cubs. Credit: Tswalu Kalahari. Females can weigh up to 150 kilograms. And the second biggest cat in the world after tigers. The front fifth claw is called the ‘dewclaw’ and is used for holding down prey. Want to see lions in the wild? Let’s make it happen!